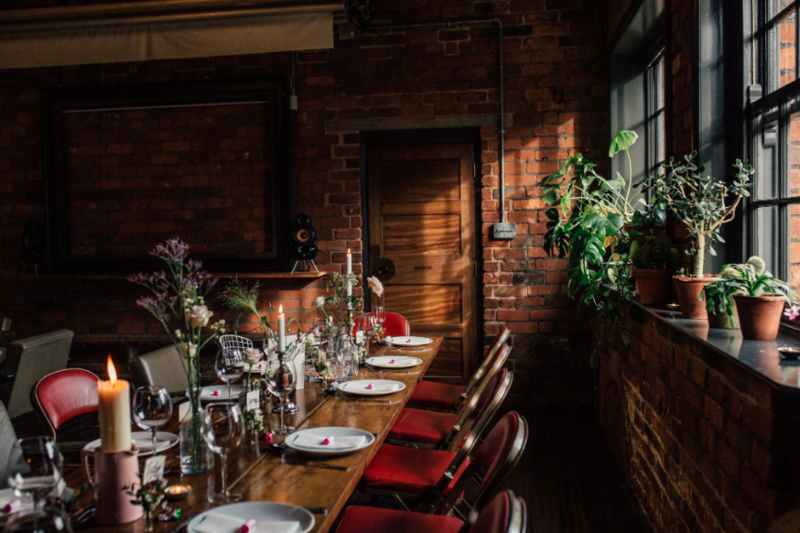 Spring Wedding, City Wedding, The Chimney House Weddings, Sheffield City Wedding, Vegan Wedding, Plant Based Wedding. Amanda + Eoin's Plant Based Feast! We hosted the most gorgeous day for Amanda and Eoin’s spring city wedding. Amanda and Eoin requested a plant based feast for their wedding supper. 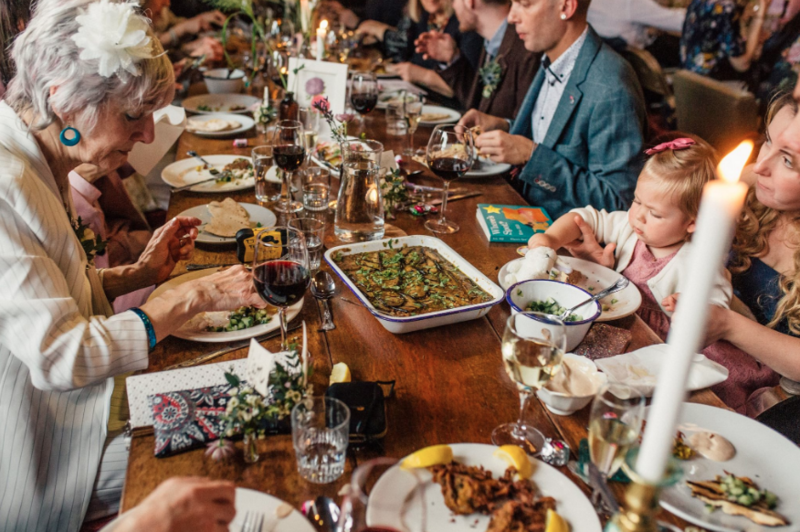 The Mowbray Kitchen curated a magnificent 3 course vegan feast, absolutely full of flavour and plant based delight. "The food The Chimney House provided was incredible and absolutely blew our guests away. We had so many guests coming up to us afterwards saying how they were thinking of going vegan after the incredible meal that featured things most people wouldn't think of as being 'veganisable', such as the aquafaba meringue. The meal truly was a banquet topped off with the incredibly smoky and floral flavours of the Mowbray dark chocolate ganache. 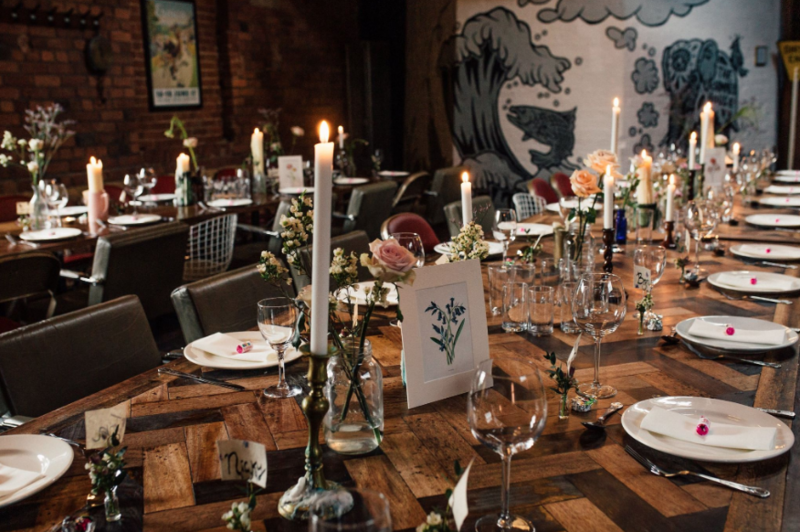 We had family travelling from the US, Scotland, Wales, Northern Ireland, and all over England, and it was such a joy to bring everyone together to share in our wedding day and give them a slice of why we love Sheffield." Take a look below at the fabulous bespoke plant based menu for out magnificent Mowbray Kitchen. Mowbray Scent Ganache: The glorious scent of The Mowbray, custom made for us by Essence + Alchemy distilled into a square of silky dark chocolate ganache. The Mowbray kitchen use smoked tea, rose & house-grown geraniums to capture our scent. Join us for our Open House on Sunday 28th April to chat about your beautiful day and meet our expert wedding team!